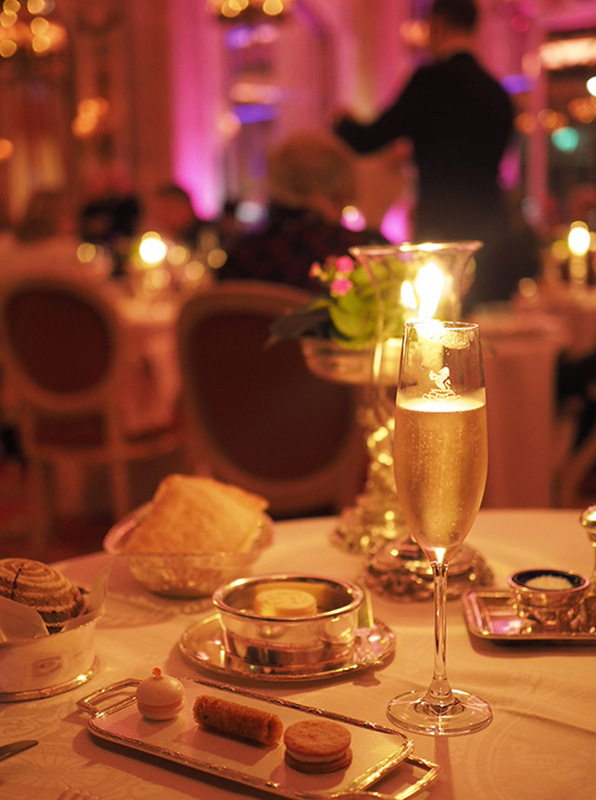 Live at The Ritz: The best date night in London? 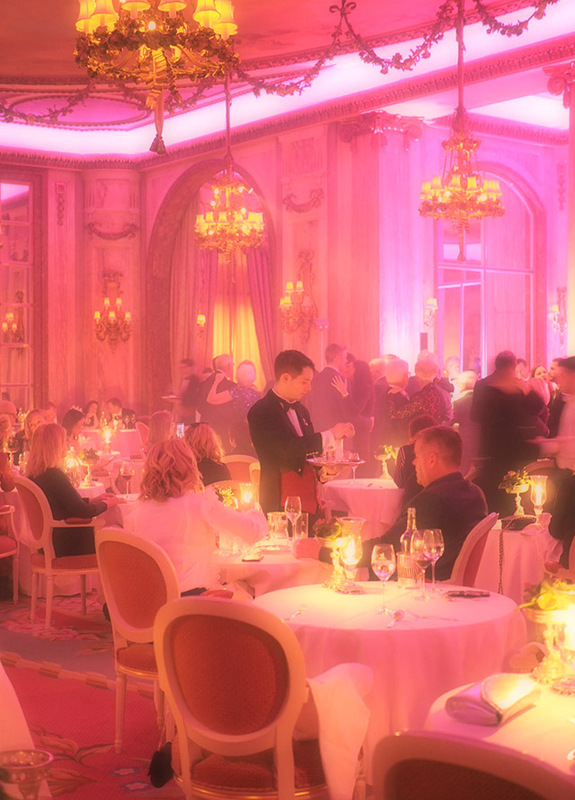 For over 100 years, The Dining Room at The Ritz has entertained some of the most prestigious figures from our history books. If walls could talk, these heavily decorated ones would be screaming with stories. 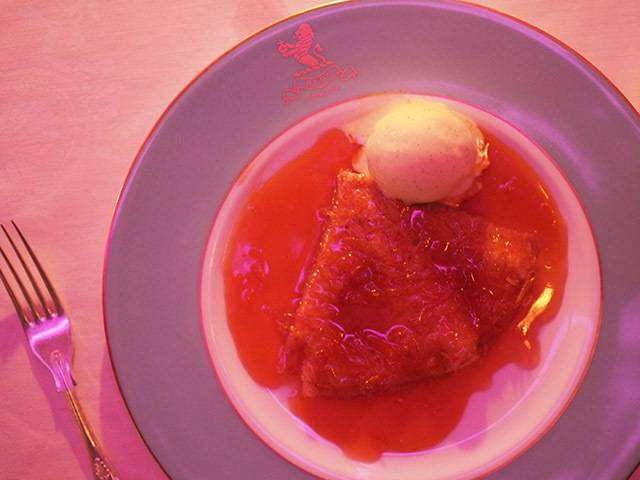 Regular diners over the years have included members of the Royal family, celebrities a plenty and important heads of state, all sitting down to various courses ranging from pancakes to pheasants. 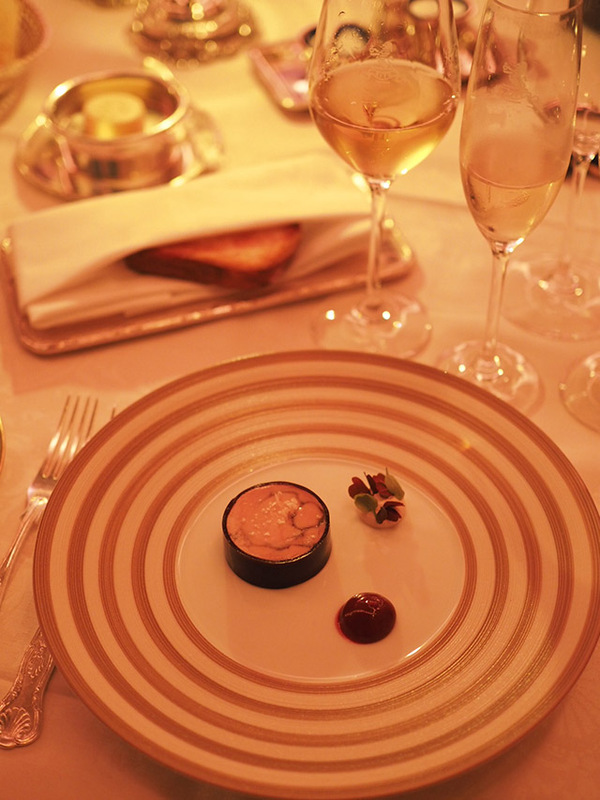 And on a cold night in February, The Ritz hosted one of London's finest Fashion Foie Gras members. Well, the only member, really. And yes, I was all by my lonesome. I must admit this wasn't how the night was originally planned. I had been invited to experience a romantic dinner for two with music, dancing and fine wine aplenty. 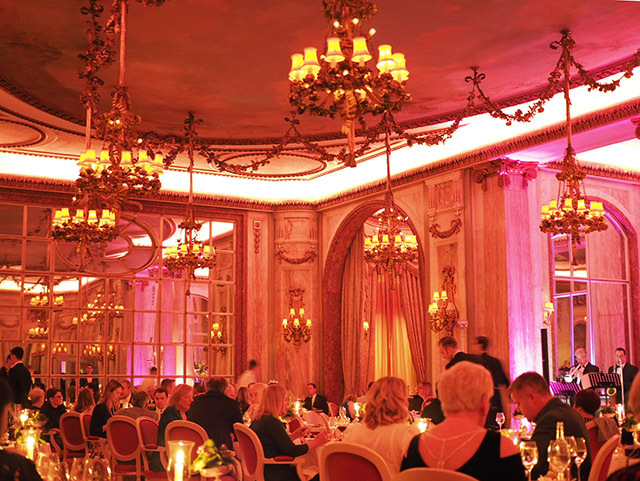 Sadly, the universe had other ideas and I walked below the heavily decorated ceiling of The Ritz's Dining Room to a table for one, at the far corner of the room. My presence was requested to experience the return of a rather fabulous tradition - Live at The Ritz. 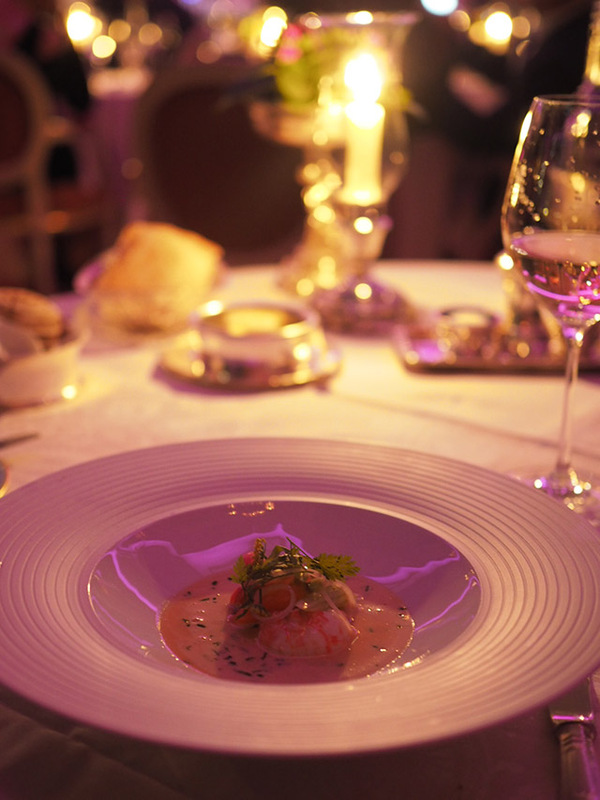 Every Friday and Saturday night, the Michelin starred restaurant ups the ante by offering not only a menu you won't soon forget, but also live entertainment with a band and professional dancers providing a feast for the eyes throughout your meal. While Chef John Williams MBE is hard at work in the kitchen, guests are working off the calories between each course as they take a turn or two on the dance floor, and trust me when I say it makes for the most delightful distraction while dining alone. And no, I didn't hop up to do a little boogie on my own. That was probably the only part of the evening that wasn't a complete surprise to me. 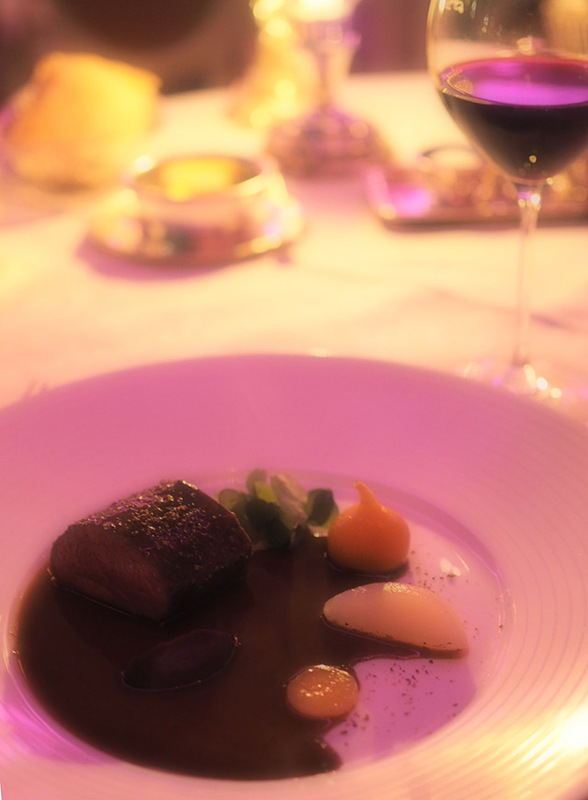 When I took my seat, next to the floor to ceiling windows overlooking Green Park, I was informed that Chef John Williams had prepared a special menu for my night. This is where I must admit that this isn't my first turn at The Ritz. Two years ago I was lucky enough to have a tour of the kitchens by the man himself, which is an experience I will always appreciate. Seeing a chef in his element, with his staff and amongst the tools of his trade is always an interesting experience. But, seeing a chef that is truly passionate about his craft, appreciative of the people that work alongside him and jovial about every aspect of his job is, well it's heartwarming. So, I have had a soft spot for this particular London treasure ever since. But, back to this special menu. My waiters, yes there were several, informed me that Chef had prepared a very particular tasting menu for my night. This would be an eight course feast. Eight courses, people. I knew Chef was not famous for his small portions, so I mentally prepared for what lay ahead. Now, I have to tell you, before you start to panic, that this is not the average experience at The Ritz Restaurant. Guests who book in for a Friday or a Saturday night can expect a four course meal with prices starting at £110 per person. When I was told the "price of admission," I must admit I was surprised, but not for the reason you might think. I couldn't believe how reasonably priced it was for such an event, especially one as extravagant as this. If you think that the average person might spend that much for a night of theatre and a pizza at Pizza Express, £110 seems like an absolute bargain for what you are getting at The Ritz Restaurant. Trust me when I say that the words "bargain" and "The Ritz" are not often, if ever, paired together. And there is nothing about the actual experience that feels anything like a bargain, but it does feel like one of the best kept secrets in London. 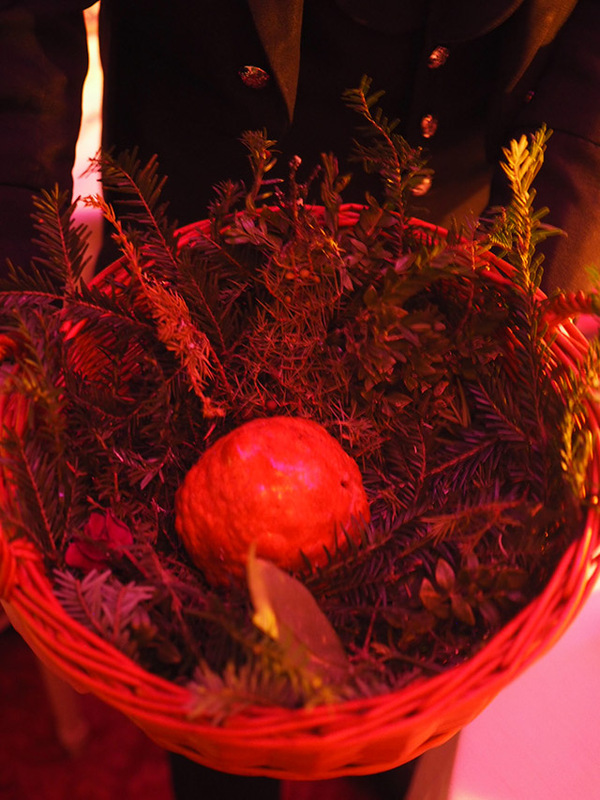 Throughout my eight course meal, I had a great deal of time to talk to surrounding diners and waiters, asking questions, when I could, to learn more about the offering as a whole and also to learn what brought people to the table here on this night, on this day. The couple sitting directly opposite where perhaps the most interesting. As the gentleman left to visit the lavatory, his date leaned over to me and said "are you having a nice night, darling? You do look so lonely sitting there." I thought I looked absolutely content, but I am well aware of the fact that solo diners can make other people feel terribly uncomfortable. Trust me when I say it seems to be more awkward for people around the solo diner than the diner themselves. I turned to face her and exclaimed my delight in watching all the beautiful couples enjoying themselves on the dance floor and asked if she was enjoying her night. To cut a long story short, she was at The Ritz Restaurant on a second date. I think my jaw nearly hit the freshly pressed tablecloth. A second date and he had taken her to The Ritz? This guy was definitely setting quite the standard and his date knew it. We spoke until he returned and continued chatting here and there throughout the dinner. They were smitten kittens and I left them to it. The couple to my right were celebrating a two year anniversary, the couple directly in front of me were there for a birthday and the two couples just off to the far left had just met, were both American and both came to The Ritz every year to, and I quote, "simply celebrate being alive." I was with my people. There was so much love, happiness and joy in this room, it made it impossible to do anything by basque in the glow of it all. And yes, I am well aware of how cheesy that all sounds. But, I do believe their incredible delight in being there, listening to such fabulous music and having an opportunity to dance hand in hand with their partners in one of the most beautiful dining rooms in London made the evening just that much more memorable. Even after three hours of slowly making my way through some of the most delicious plates on the planet, there wasn't one part of me that was tired or "done" with this atmosphere. Sitting there on my own, I soaked absolutely everything up. Every single song played was a familiar tune. I tapped my toes under the table and dabbed my fingers on the tablecloth, wishing I had the courage to ask a waiter to dance. I do wonder if they'd be allowed to do such a thing. Surely, as we're at The Ritz, they wouldn't have been allowed to refuse me. But now I'll never know. Wasn't courageous enough. I left floating through the tables. It could have been the romance that hung in the air like a San Francisco fog, or it might have been a fog created in my mind from too many glasses of wine, but I was leaving on cloud nine. I didn't feel as if I existed in 2019 anymore. This was another time. 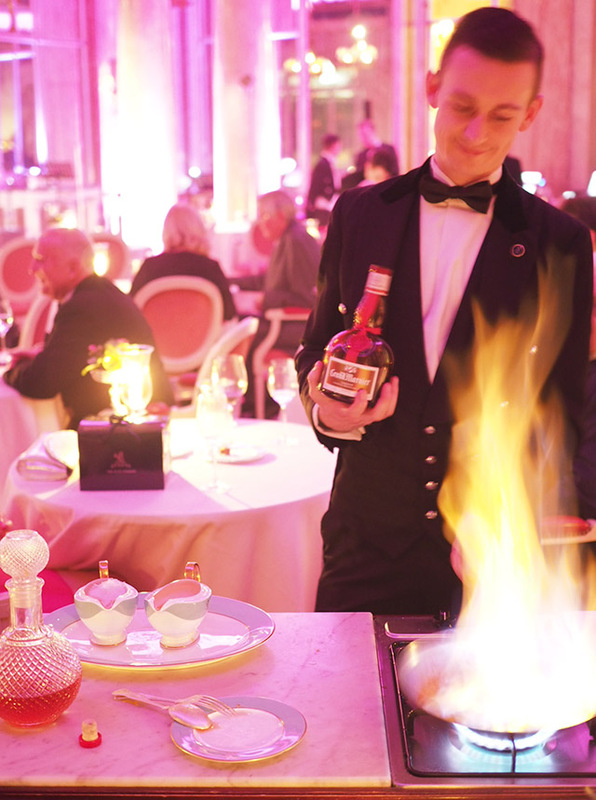 That's the magic of The Ritz. Of course it exists in the here and now, but there are moments when you are in a time machine. You do get transported back in time, with nearly every turn you take in this historic hotel. It's in another world completely and you really only see that when you step outside the hallowed halls. When I did finally step out in the freezing cold night air and into an Uber home, it was like a cold smack in the face. Bye bye luxury and Tony Bennett covers, hello smelly car with techno music blaring. I think I prefer The Ritz way of life. For more information on or to book Live at The Ritz visit the website.